Courtenay Cavanaugh, Ph.D., is an Associate Professor in the Department of Psychology at Rutgers University in Camden, New Jersey. She received her Ph.D. in Clinical Psychology from the California School of Professional Psychology– San Francisco, an APA-accredited program after completing an APA-accredited internship at Bellevue Hospital/New York University. Dr. Cavanaugh completed two postdoctoral fellowships, both of which were funded by the National Institute of Drug Abuse and focused on substance abuse prevention and drug dependence epidemiology, at Yale and Johns Hopkins Universities. She joined the faculty at Rutgers University—Camden in 2010. Dr. Cavanaugh’s research is focused on improving the health and well-being of diverse and marginalized women and children who experience interpersonal violence. 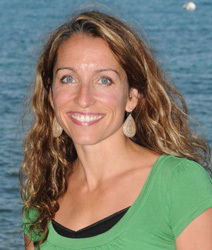 Her work has been supported by both internal and external grant funding. She has authored nearly 40 peer-reviewed articles with lead or sole author publications in the following journals: AIDS & Behavior; Crisis: The Journal of Crisis Intervention and Suicide Prevention; Journal of Adolescence; Journal of Child Sexual Abuse; Journal of Interpersonal Violence; Journal of Trauma and Dissociation; Journal of Traumatic Stress; Journal of Urban Health; Journal of Women’s Health; Psychological Trauma: Theory, Research Practice, and Policy; Psychology of Violence; Social Psychiatry & Psychiatric Epidemiology; Suicide & Life-Threatening Behavior; and Violence Against Women. Page last updated at 8:52 am April 22, 2019 . This page was printed from cocavana.camden.rutgers.edu/ on Wednesday, April 24, 2019.